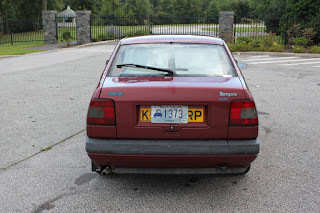 Just A Car Geek: 1993 RHD Fiat Tempra - Only One In The U.S.
1993 RHD Fiat Tempra - Only One In The U.S. 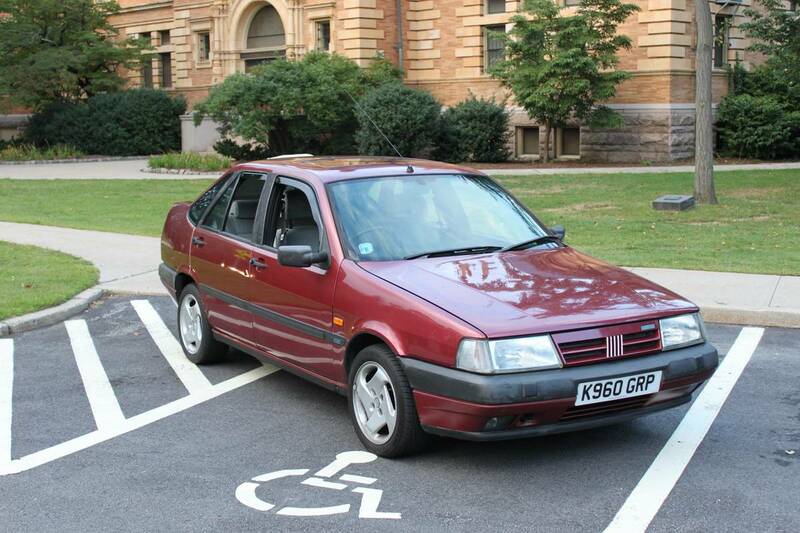 I suspect that this is being sold by the same person who has the 1988 Fiat Tipo for sale. I don't know that for a fact, but what are the chances of two people in a state the size of Rhode Island having imported Fiats for sale? The Tempra was introduced in 1990. It shares its platform with the Lancia Dedra and Alfa Romeo 155. The body, which is not exciting, but was never meant to be, was designed by Ercole Spada at I.DE.A Institute. Fiat built the Tempra in Italy until 1996, but it remained in production in Turkey until 1999 and Vietnam until 2000. I've spent my entire life in the United States, so I have never seen - let alone driven - a Tempra. What I know about it is from what I have seen on the internet. The British site, RAC, has this to say aboput buying a used Tempra: "A fully galvanised body means that tin worm is hardly ever an issue with these cars. Such was the corporate paranoia in the Fiat Group surrounding the dreaded R word that Fiat went almost over the top with corrosion protection. 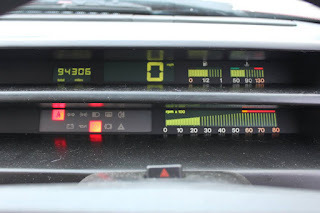 The Tempra is not a badly built car but be wary of electrics in older cars - just check that everything works as it should and watch for oil leaks and leaky radiators. Trim materials can be a bit cheap and prone to wear on base-model cars. It could be worth haggling over, if you feel strongly enough. Don't be overly concerned by noisy power-steering pumps; they may sound strange occasionally, but they're mostly reliable. Some cars can suffer poor paint quality. Again, a cosmetic thing but maybe on the list of items that add up for negotiation with the seller." Of course, that means little when it comes to this car. 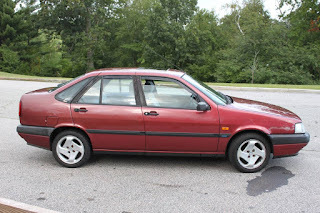 I don't think anyone in the U.S. would buy a right-hand drive Fiat Tempra to use as a daily commuter. This is a weekend driver / show car. This car looks to be in very nice condition. The body looks great. 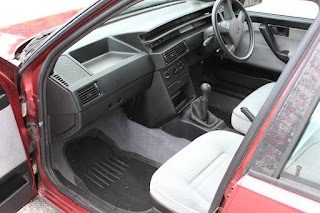 The interior also looks great. I especially like the retro-cool digital dash, although I have to wonder how easy parts are to find for it if it goes bad. Other parts while non-existent in North America, should be fairly easy to find overseas. The seller says this is the only Fiat Tempra in the United States. I have no reason to doubt that. It's an Italian classic. OK, its not an old Ferrari, Maserati or Alfa, but it's far more uncommon - and a lot cheaper - in the US and will draw attention anywhere you drive it. Located in Providence, RI, click here to see the Craigslist ad.